Friday 1 February was the anniversary of the successful Equal Pay Case taken to the FairWork Commission by the ASU. The ASU’s Equal Pay Case outcome is the reason you get a pay rise in December. The Fair Work Commission didn’t just decide to give social and community services workers a pay rise. You had to fight for it. For those of you who were working in the sector in 2012 and before, you’ll remember that we rallied, lobbied, organised and danced. On current rates an early career Social Worker is better off by approximately $13,161 because of the ASU Equal Pay Case. And a mid career Community Development Worker is better off by approximately $16,811. 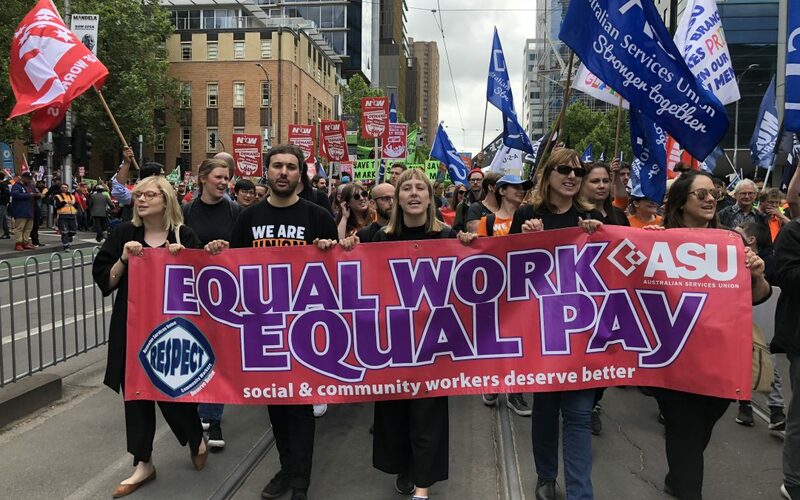 With great victories like the equal pay decision and portable long service leave, we have laid the path to become a great campaigning union that can fight and win for better wages and conditions for members. The ASU’s Equal Pay Case outcome is something to celebrate.